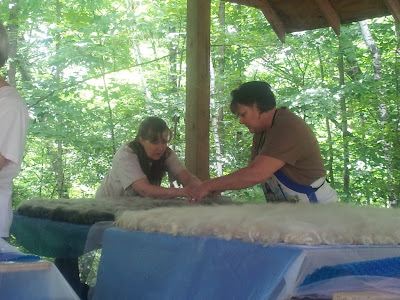 Felted Pelt Class this Saturday! 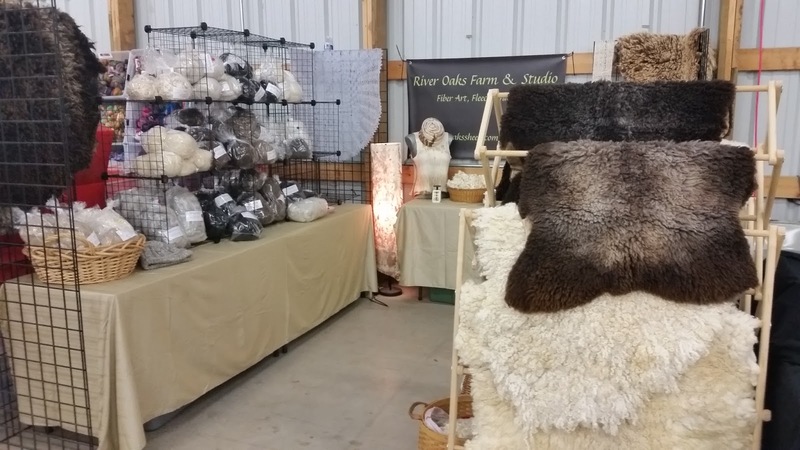 There are still two openings in this weekend's raw felted fleece class here in Ogilvie. Call me if you would like to register. 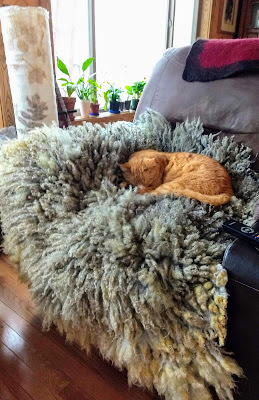 I do have a couple fleeces available for purchase if you don't have one of your own. The one in the photo is a moorit Shetland fleece that weighed about 2.5 lbs raw. Thanks to everyone who came to my booth at Shepherd's Harvest this year. It's always nice to reconnect with all friends and make new ones. I sold out of felt pelts! 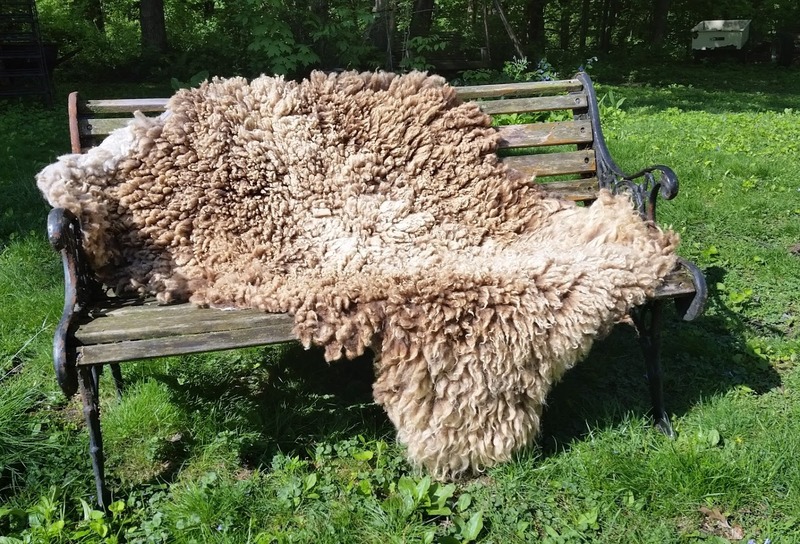 It's a good thing I have several more fleeces on hand and the weather is perfect for felting outdoors. It's been a while since I last posted. Lambing is over for the year and I have lots of 47% Teeswater ram lambs to sell. I will post current photos and prices in the coming weeks. They area all growing so fast! They will be available after weaning at the end of May. 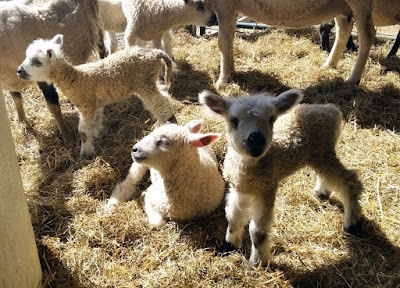 Such beautiful fleeces on these crosses. Shepherd's Harvest was held in Lake Elmo, MN this past weekend. It was so nice to see many old friends and make some new ones. I want to thank everyone who bought fiber, pelts, and soap. It really was a good weekend despite the cool, windy weather. I wish I had more time to stop in my friends' booths, so much to do and so little time! Sid and I are hosting a couple classes in our outdoor classroom over the next two weekends. Coming up this Sunday, May 22, from 10 a.m. to 12 noon is "Herbal First Aid" taught by Rachel and Patrick Nudd of Willheal Farm in Cedar, MN. The cost is $20 and there will be wood-fired pizza after class. Click on the link above for more information or to sign up. The following Saturday, May 28th I will be teaching a raw felted fleece class. I've got room for two more students. 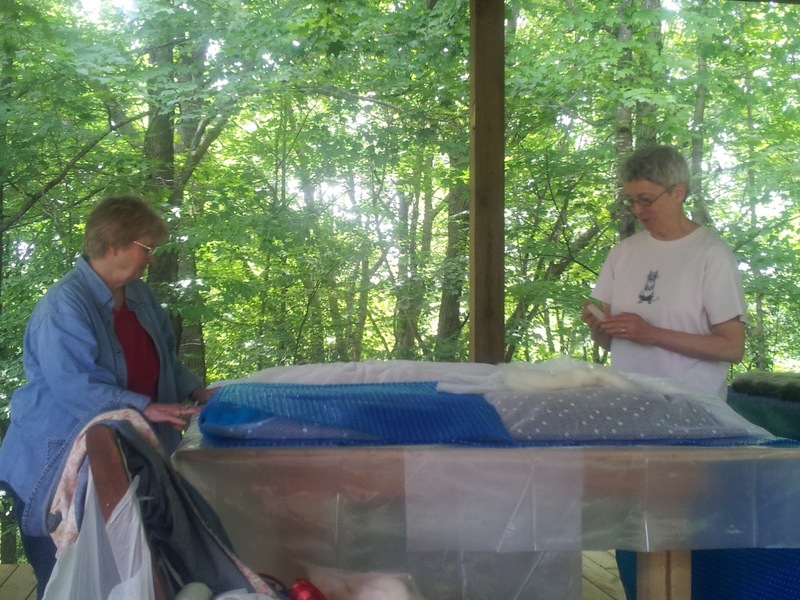 The cost is $125 which includes all materials (except the fleece), refreshments, and lunch. Contact me to sign up or for more details. 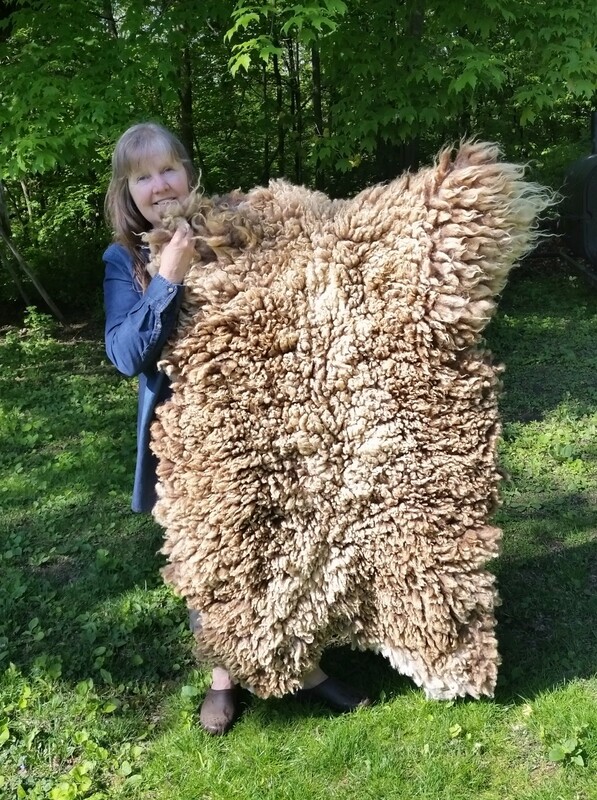 If you can't make it to this one, I will be teaching it at North House Folk School in Grand Marias, MN on July 9-10 and at Wisconsin Sheep and Wool Festival September 11, 2016. Here are some photos from last year's classes here at our place.